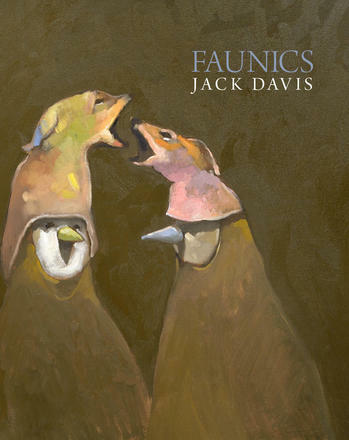 Occasionally a book of poetry appears, seemingly out of nowhere, that is openly discussed between poets as a ‘must read’ well before any reviews or notices have appeared, as is the case with poet Jack Davis’ remarkable debut, Faunics (St. John’s, NL: Pedlar Press, 2017). Faunics owes a debt to Nelson Ball and Mark Truscott, both of whom are acknowledged, both as notes at the end of the collection as well as individual dedications, for their influences upon his work. Because of this, Davis’ poems aren’t merely short or short-lined, but poems that fully comprehend the lessons of what Ball and Truscott (and others, including jwcurry, Cameron Anstee, Michael e. Casteels) and others have been working on for years (it might be worth pointing out that Anstee, also, has a debut collection set to appear very soon), writing an incredibly precise lyric of sustained attention. Set in four sections – “Living Daylights,” “Animal Light,” “The Pre-Linguistic Heights” and “Voir Dire” – Faunics exists as a sketchbook of poems on nature, a distant cousin to the 19th century botanical book, as done by such as Virginia Woolf and Catherine Parr Trail, but one composed out of language, a fauna of sound and meaning in the sharpest detail, and the smallest possible space. This is easily one of the finest and most understated collections I’ve read in a long time.